Fresh from a global highly acclaimed tour including a special appearance on Blue Peter and ITV’s Royal Variety Performance, as well as the Underbelly Festival in London’s Southbank, the Circus Abyssinia Troupe brings Ethiopian Dreams to enchant Edinburgh Festival Fringe audiences again this summer. The show that captivated audiences of all ages in 2017 returns with new acts and an expanded cast to the Edinburgh Festival Fringe from the 4th to 25thAugust 2018. Surrealist and joy-driven, accompanied by a soundscape that draws on Ethiopia’s rich musical past and present, Circus Abyssinia: Ethiopian Dreamsis a transformative celebration of circus itself and tells the inspiring life story of Ethiopian brothers, Bibi and Bichu, who dreamed as little boys of joining the circus, through breath-taking skills and jubilant ensemble performance. The multi-talented and incredibly versatile 17-strong Circus Abyssinia Troupe celebrates the birth of a new Ethiopian tradition through a breath-taking range of circus skills including; human juggling, fire juggling, hand-vaulting, contortion, cloth spinning, hula-hooping and their signature astonishing double Chinese Pole act. 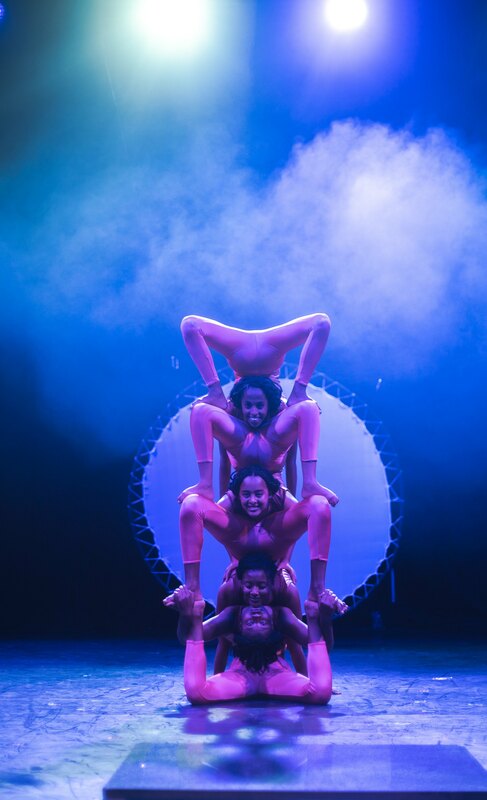 Fusing theatrical storytelling with astonishing stunts, the show combines the arts and innovations of contemporary circus with Ethiopia’s artistic heritage to create one of the world’s first full-blown Ethiopian circuses. Circus Abyssinia: Ethiopian Dreamsruns from 4thto 25thAugust at the Underbelly Circus Hub. For tickets and information, visit www.underbellyedinburgh.co.uk.